More than 900 private firms in the South West have the potential to grow exponentially and create thousands of jobs, according to new research. 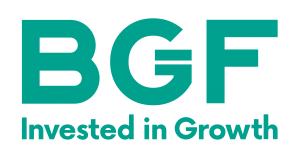 These 937 businesses have generated £2.8bn of turnover growth and created nearly 13,500 jobs in the past three years, the report by investment group BGF shows. The research identified nearly 13,500 private companies with revenues between £3m and £150m across the UK – a category it shows has high potential. These businesses have experienced combined turnover growth of 14% while just over three quarters of those based in the South West grew their turnover in the past three years – the third highest in the UK. These companies have also driven an 8% increase in employment – creating 13,443 new jobs in the region over the past three years. 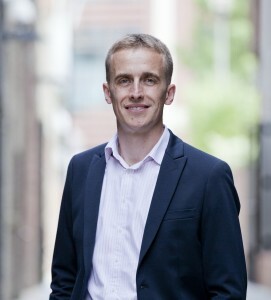 BGF investor Ned Dorbin, pictured, who is based in its South West office in Bristol, said the research provided a unique insight into this section of the economy. “We have known for a long time that entrepreneurship is growing with great strength in the South West,” he said. “It is fantastic to see this report evidencing that for the first time. These companies have demonstrated activity, productivity and growth, and it’s more important than ever that we safeguard that potential by giving them the support needed to accelerate. The data has been released as part of BGF’s ‘Ready for Business’ campaign, in which it will advocate for continued growth, committing to entrepreneurs and investing in the age of uncertainty. Phil Smith, managing director of Business West, which runs Bath Chamber of Commerce, said: “SMEs are vital to local economies and we have found that those on our patch tend to be innovative, will consider international markets and, significantly, create high-quality jobs.